Orlando City SC could go 11 points clear in the USL PRO standings, and set a new club record of 15 matches unbeaten when they visit the Dayton Dutch Lions on Sunday at 3 p.m. (WATCH HERE). 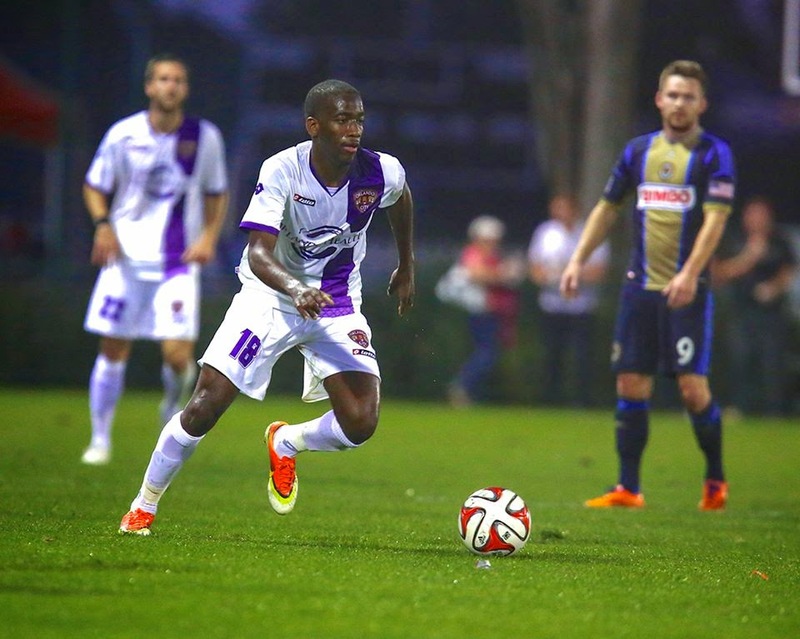 Orlando and Dayton have yet to meet this season, but last played in a 3-3 draw at Miami Valley (Ohio) on July 2013 which saw OCSC squander their one-goal lead toward the end of the match. And while OCSC are riding a 14 match unbeaten streak, within that run the Lions flow a five-game winning streak. Kevin Molino, who leads USL PRO in scoring with nine goals, hasn’t scored in his last three league matches, however, he did score a hat-trick during a 3-1 home victory over the Charlotte Eagles back in May. Forward Dennis Chin, who picked up a hamstring injury last month, has since returned to action, playing minimal minutes. Corey Hertzog will more than likely get the nod to start from Adrian Heath after finding his scoring touch after notching two goals in his last three games. Although the Dutch Lions aren’t having their best season to date, they do have one of the leagues top scorers in Aaron Schoendeld whose eight goals has him in the fourth spot for the Golden Boot. Dayton currently sit in 13th place in the standings with 11 points, while posting one victory in their last five matches. Despite playing last Friday in a 0-0 draw against Brazilian side Sao Paulo FC during an international friendly, Orlando City’s last competitive match resulted into a 5-2 defeat against MLS side Colorado Rapids during U.S. Open Cup play last Tuesday. What are some score predictions heading into Orlando’s road game? Comment below with your answers.